With fresh easterly winds which backed south-east and strengthened further in the afternoon it was a decent day on both land and sea. 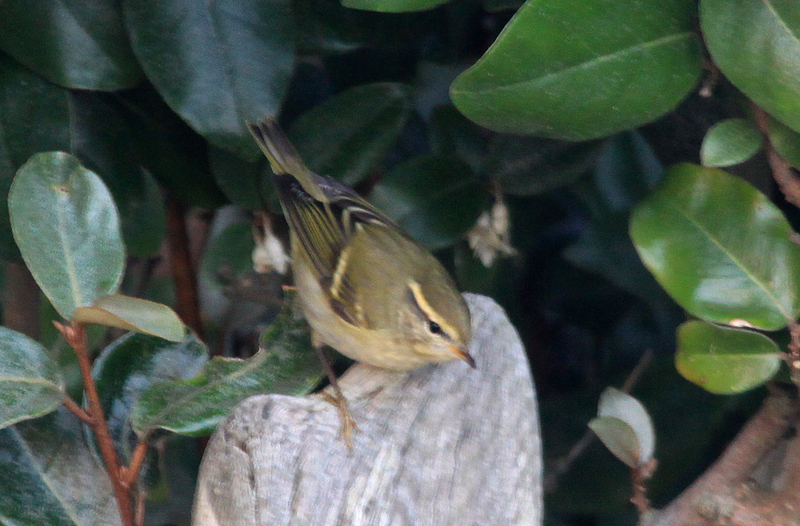 The highlight of the day on the land was a total of three Yellow-browed Warblers with one seen in the trapping area in the morning and two found late in the day in the Lighthouse Garden. 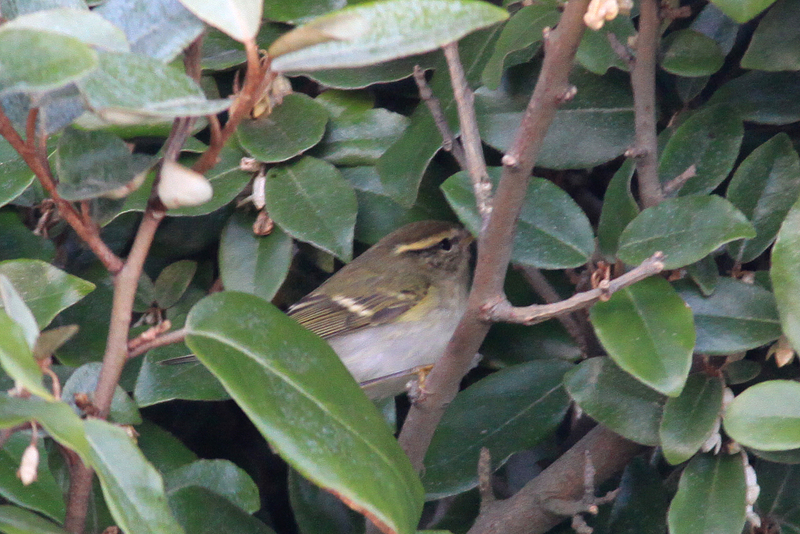 Other bits and pieces on the land included 60 Chiffchaffs, 15 Song Thrushes and ten Redwings whilst birds passing overhead included five Mistle Thrushes, two Grey Wagtails, three Rock Pipits, two Bramblings, 15 Siskins and 12 Reed Bunting. Seawatching was also productive with a Long-tailed Skua, a Pomarine Skua and 14 Great Skuas in the morning and an Eider and a Short-eared Owl going out to sea in mid-afternoon. In addition, 294 Brent Geese, 243 Gannets, eight Little Gulls, six Mediterranean Gulls, 231 Sandwich Terns and an Arctic Tern flew by. A couple of poor shots taken just before the light failed competely. Five Porpoises and two Grey Seals were feeding offshore.